The purpose of the Student Steering Committee is to improve student success and engagement via mentoring and building a sense of community. It is the goal of this committee to create ways for all CSD students to connect and empower one another to advocate for their needs and be successful during their undergraduate education at the University of South Florida. For more information, please visit their Facebook page. 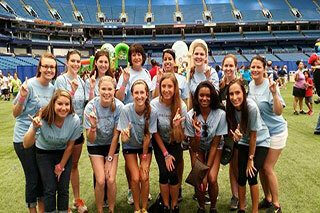 This is the USF Chapter of the national organization, NSSLHA, created for undergraduate and graduate students who are pursuing careers in Speech-Language Pathology or Audiology. Their mission is to raise interest, awareness, and understanding of human communication. For more information, please visit their Facebook page. The Student Academy of Audiology (SAA) is the national student organization of the American Academy of Audiology that serves as a collective voice for students and advances the rights, interests, and welfare of students pursuing careers in audiology. The SAA introduces students to lifelong involvement in activities that promote and advance the profession of audiology, and provides services, information, education, representation and advocacy for the profession and the public we serve. More information can be found on their Facebook page. The purpose of this organization is to provide opportunities to the campus and the local community to learn about Deaf Culture and all it encompasses. 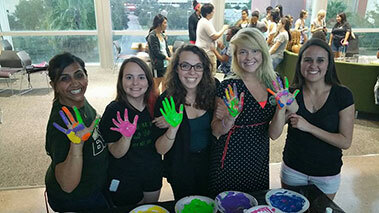 They provide activities that connect the students, faculty, and staff of USF to the Deaf Community to socialize, volunteer, and network. They also offer instruction of signing skills in the form of games, mentorship, and silent events. For more information, please visit their Facebook page. 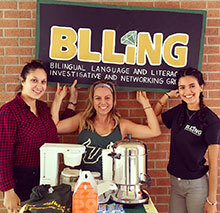 BLLING is special interest group that aims to: (a) conduct and discuss current research topics, (b) offer education on bilingual language and literacy issues, and (c) support the community through hosting family literacy nights and other events aimed at increasing awareness of bilingual and biliteracy issues. For more information, please visit their Facebook page. 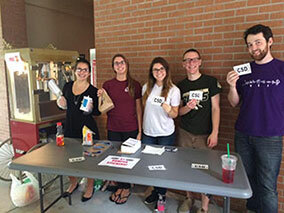 The Sertoma Collegiate Club at USF is a newly established club that focuses on providing "Service to Mankind", especially to those who have a hearing loss. 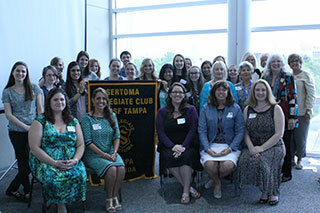 The club participates in a variety of service events, mostly through other local Sertoma Clubs. Certain events that we have been a part of include BINGO Nights at James A. Haley VA Hospital, creating sensory items for pediatric patients at the USF Speech and Hearing clinics, our Celebrate Sound Walk, and more! Our group is comprised of undergraduate and graduate students from a variety of academic backgrounds, especially those in Audiology and Speech Language Pathology. If you have a passion for service or would like to get involved with the USF community please email us at usfsccpresident@gmail.com. The goals of MSCSD is to promote historically underrepresented students (e.g., African Americans, Latinos, males, etc.) to pursue a career in the fields of audiology and speech-language pathology through mentorship, education, and student engagement.